Inductance is an electrical property of conductors by which an electrical current passing through the conductor induces an electromotive force in the conductor itself (self-inductance) and other conductors nearby. Since resistors are made of conductive materials, they, too, exhibit inductance as an unwanted, parasitic effect. This effect is especially noticeable if the resistor is made out of wire formed into a coil shape. Depending on the application, resistor inductance might be easily disregarded, especially in DC circuits. 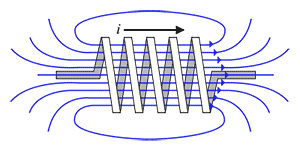 However, parasitic resistor inductance can be a significant factor in high-frequency AC applications. The reason for this is that the impedance of a resistor rises with the applied voltage frequency due to the increase in its reactance. Electrical loads can be divided into two types: real (or resistive) loads and reactive loads. Real loads are used to convert electrical power into heat. An ideal resistor is a purely resistive load, which means that all the electrical power applied to the resistor is dissipated as heat. On the other hand, reactive loads convert electrical power into a magnetic or electric field and temporarily store it before returning it to the rest of the circuit. Reactive loads can be inductive or capacitive. Inductive load store energy in the form of a magnetic field, while capacitive loads store energy in the form of an electric field. The main difference between ideal resistors and ideal inductors is therefore that resistors dissipate electrical power as heat, while inductors turn electrical power into a magnetic field. 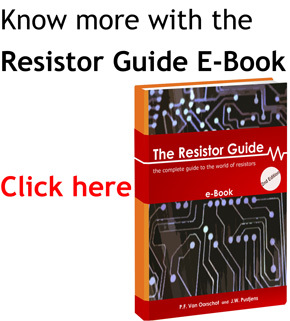 Ideal resistors have zero reactance and as a result zero inductance. Unfortunately, electrical devices are not ideal in practice and even the simplest resistors have a slight parasitic inductive reactance. Resistors are used when a purely resistive load is required, so inductance is often an unwanted side-effect and in this context it is called “parasitic inductance”. All real resistors exhibit parasitic inductance to a greater or lesser extent, depending on the design and construction of the resistor. Parasitic inductances in an AC circuit can cause unwanted couplings between system blocks, or can be the cause of delayed circuit response at high frequencies. The source of inductance problems can be either self-inductance, which exists even when the resistor is far away from other conductors or mutual inductance, which is observed when other high frequency devices are nearby. Self-inductance may distort the signal at high frequencies, while mutual inductance may introduce noise in the signal path. Helical wire wound resistors are especially prone to having significant parasitic inductances, because of their coil shape. Resistors designed specifically for use at high frequencies are made of metal film, to avoid creating the coil shape and reduce the parasitic inductance. where ω is the angular frequency and L is the resistor’s parasitic inductance. As can be seen from the above equations, the impedance of the resistor rises with the voltage frequency increase because the resistor acts as a resistor and inductor. This increase is usually negligible, but in some applications is quite significant. Parasitic inductance usually manifests itself either in resistors with inferior properties such as helical wire wound resistors or in other resistors at very high frequencies. To demonstrate the high frequency problem, a typical foil resistor of 220 Ω with an inductance of 0.05 μH has an impedance of approximately 380 Ω at 1GHz, which is a relative change of approximately 70% above the nominal value, which an engineer would expect if parasitic effects were not taken into account. Microwave applications, or RF applications in general are particularly sensitive to parasitic effects.